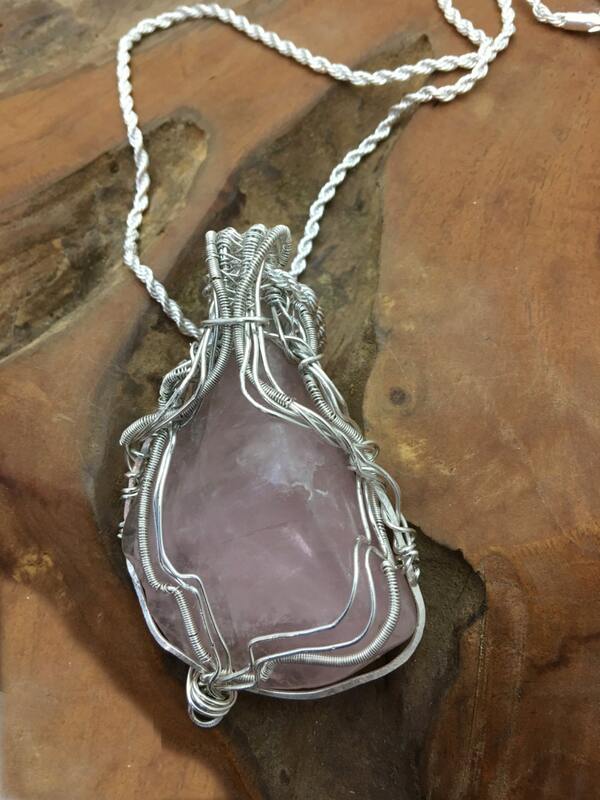 This is a lovely woven wire wrapped rose quart free form stone. It is large and wonderful....a beautiful statement piece for sure. 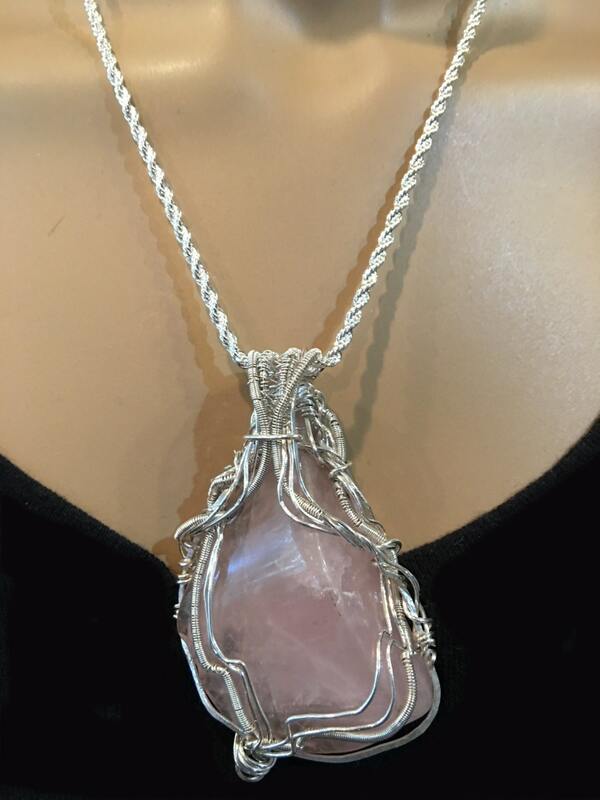 The pendant including the bail is 2 3/4 x 2". You can miss this one. Rose quartz is all about love, and this is a lot of love.